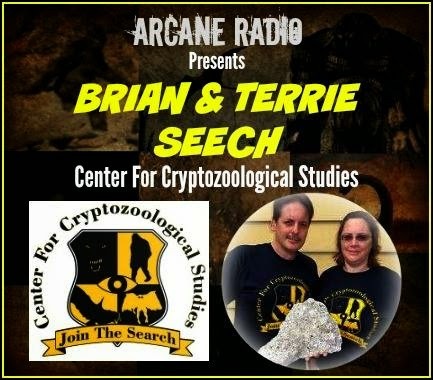 Daily 2 Cents: Arcane Radio - Brian & Terrie Seech - Bigfoot Group Filmed in Yellowstone Park? 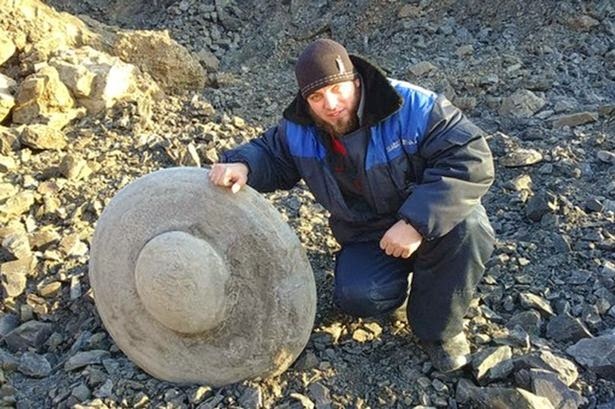 -- Drone or UFO? 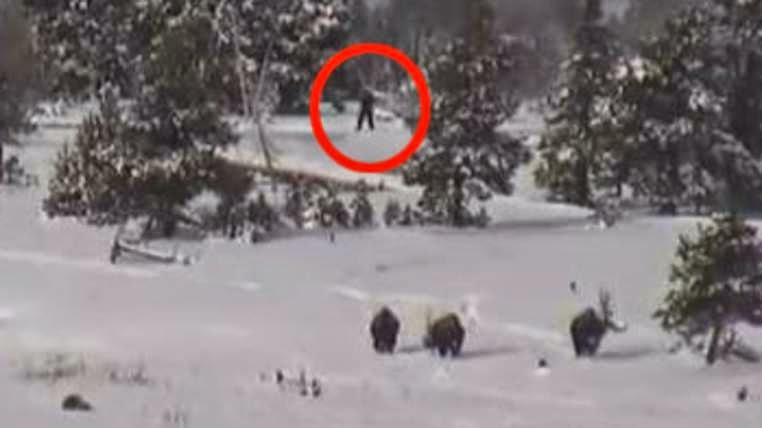 Bigfoot Group Filmed in Yellowstone Park? Four unidentified figures have been captured in a controversial video recorded through a webcam. Originally posted to YouTube by Mary Greeley back in December, the footage, which was taken from a webcam overlooking the area near the famous geyser 'Old Faithful', failed to gain attention at the time but has picked up momentum more recently after being featured on a number of news sites and media outlets. The video lasts around three-and-a-half minutes and begins by showing a group of buffalo wandering across the snow. At around the 2:50 mark however four figures emerge from behind the trees in the background and walk towards the left. One emerges in to a clearing while the others remain mostly hidden. The video, which has gained significant attention this week, is being hailed as evidence that the legendary Bigfoot not only exists but that there's more than one and that they travel in groups. In all likelihood however the footage probably shows nothing more than a group of tourists taking in the scenery as they head towards the geysers. None of the figures appear particularly anomalous and there is little reason to suggest that they are anything other than ordinary people. "Bigfoot sightings are not frequent, but it happens," said Yellowstone National Park spokesman Al Nash. "People say a lot of crazy things about Yellowstone all the time and bigfoot is just one of them." A 60-year-old woman and her daughter are critically ill in hospital following a fire at their home which happened hours after a Ouija board session reportedly predicted their deaths. Margaret Carroll and Katrina Livingstone, 37, are now being treated in hospital after the fire near Consett, County Durham on Saturday. It is alleged they used the Ouija board to contact their dead dog on the evening before the fire, which was discovered at around 8.45am on Saturday. According to the Northern Echo newspaper, the daughter told neighbour Donna Sowerby about the session and how it had predicted their deaths. Mrs Sowerby, 30, said: ‘The fire was right the way through the property. It was horrible. "There was a mini explosion and one of the firefighters was blown back." The women are the wife and step-daughter of a man who admitted dismembering a dog after at first claiming it had died when it was possessed following a ouija board session. Paul Carroll, 51, will be sentenced later this month for causing unnecessary suffering to an animal. A Durham Police spokeswoman said: "Two women aged 60 and 37 were taken to the University Hospital North Durham where they remain in a critical condition and are under arrest on suspicion of arson with intent to endanger life. "We are not looking for anyone else in connection with the incident."